Amber perfumes are some of the most popular choices for cool weather, and today Patricia explores various options, from light to dark, from simple to complex. Ambers are crowd pleasers, the Golden Retrievers of the perfume world, ready to encompass you with a warm, furry greeting and a wag of the metaphorical tail. Granted, some are easier to love than others, and there is always someone who would rather not, but generally speaking the amber aims to please. Here are some of my favorites. My “starter” amber fragrance was the easy-to-wear L’Eau Ambrée by Prada. With mandarin, rose, and jasmine to sweeten the way, I happily wore it until the patchouli drydown started to grate on me. 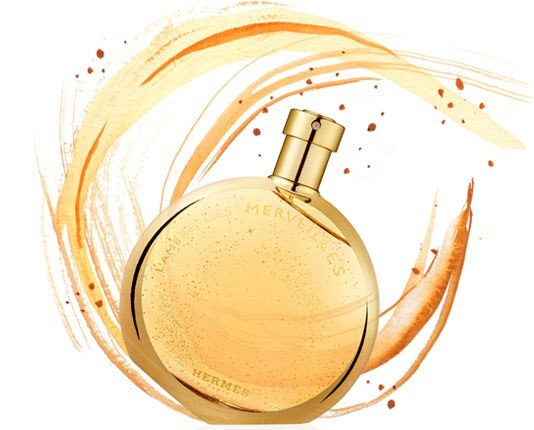 I graduated to the warm and beautiful L’Ambre des Merveilles by Hermès, and its sweet caramel vanilla seems perfect for the cooler months. It reminds me of Prada Candy, but I much prefer its greater complexity. Every September I reach for the stunning starry bottle turned on its side. 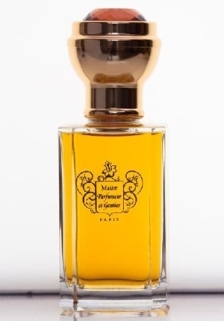 One autumn afternoon as I was walking home through a park and wading slowly through the piles of golden leaves, I wondered if there is a perfume in my collection that could match this serene and yet exhilarating atmosphere. Of course, I have my beloved Guerlain Mitsouko and Chanel Bois des Iles, which are some of the most quintessentially autumnal scents, but Mitsouko is too damp and plush, while Bois des Iles is too austere and cool. I wanted a perfume that smelled sunlit and bright, warm and bracing, with a hint of nutty sweetness from burnished leaves. When I smelled Hermès L’Ambre des Merveilles after one such walk, I discovered with a surprise that it captured part of my golden autumnal fantasy. It’s a fragrance of woods, amber and vanilla, but L’Ambre des Merveilles avoids heavy sweetness and instead has plenty of luminosity. You can almost see the sun glittering on the crimson maple leaves as you smell it. Note: I’ve been meaning to let you know that the Long Lost Favorite Perfume series has been forced on a vacation due to my move. Most of my vintage samples are still waiting their shipment to my new home, so once they arrive, I will resume the series. 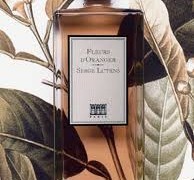 Since I posted about Hermès L’Ambre des Merveilles yesterday, I realized that it’s going to join a lineup of several other new amber perfumes for fall. Below are a few fragrances that captured my attention. 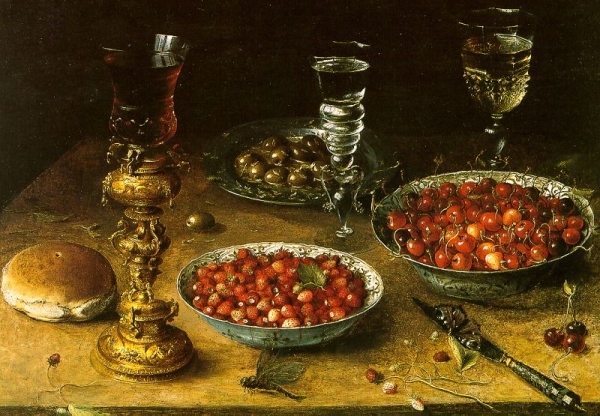 There are some varieties of rose that smell fresh and delicate at first and then reveal a piquant, peppery bite. You pull away from the blossom with a start, the tingling sensation still in your nose and can’t help yourself leaning in for another inhale. 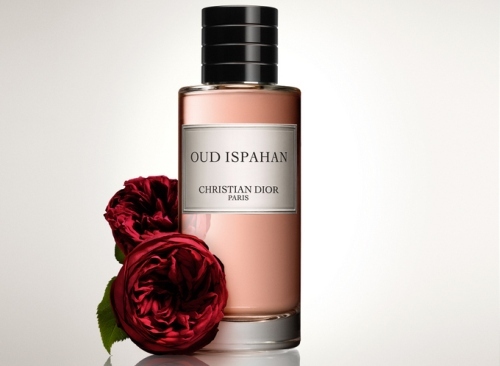 My first impression of Oud Ispahan, a new addition to Christian Dior’s La Collection Privée, was similar—the compelling sparkle of the top note contrasted dramatically with the darkness of patchouli and oud. 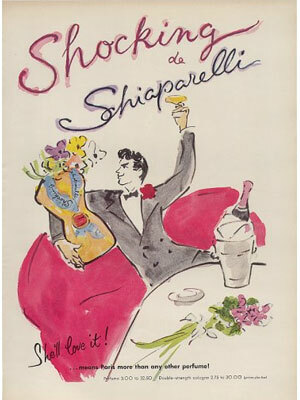 Elsa Schiaparelli was a designer who set lasting trends in fashion with her richly embroidered jackets, shoe shaped hats and lobster dresses, but I discovered her whimsical side through Shocking, a perfume she released in 1937. Shocking was a dazzling collaboration between Schiap, as she was known, Jean Carles, who created the perfume, and the Surrealist artists Marcel Vertes and Salvador Dali through whose drawings the sultry fragrance came to life. This month, the Metropolitan Museum in New York opened the exhibit “Schiaparelli & Prada, Impossible Conversations.” Running until August 19th, the collection explores the work of two designers in a compare-and-contrast setting. It was the first time I’ve seen Schiaparelli’s work close up, and I was mesmerized. The clothes weren’t simply beautiful; they offered a glimpse into the designer’s vibrant imagination.